The British Pound was seen trading softer against major rivals on Tuesday, January 29 ahead of a number of key votes scheduled to take place in the UK parliament that could determine the nature of the UK's eventual exit from the European Union. The debate will begin shortly after 12:00 GMT and end with the votes starting at around 19:00 GMT, each vote would take about 15 minutes. Amendments are voted on first, followed by the main motion. We are particularly interest in the prospects of the success of the amendment forwarded by Yvette Cooper of the Labour Party as it potentially provides insurance against a 'no deal' Brexit from occuring on March 29. Sterling is the best performing major currency of the past month, having enjoyed gains of 3.45% against the Euro and a 3.11% advance against the Dollar as investors have steadily cut back on their expectations for a 'no deal' Brexit. The Cooper amendment should provide the backbone of this expectation; therefore the success of the amendment is important to the British Pound's outlook. 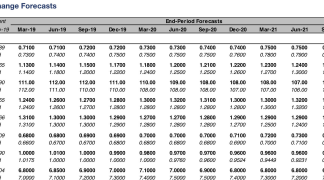 "GBP direction will be governed by how the amendments affect the probabilities of hard Brexit/delay/second referendum," says Adam Cole, a foreign exchange strategist with RBC Capital. We are wary that the market might be overconfident the amendment will pass and warn therefore that the Pound would likely fall sharply lower in the event of a defeat. Analysis by Henry Zeffman, Political Correspondent at The Times suggests that the passing of the Cooper amendment is not a given. Zeffman says there is one scenario "which is unlikely but I think underpriced." "None of the amendments have a majority, Cooper etc. fall narrowly. And yet May's motion in neutral terms also does not have a majority," says Zeffman. The hopes of Cooper's amendment passing were boosted mid-day when Labour Party leader Jeremy Corbyn officially backed the amendment, which will ensure whips will instruct party members to back the bid. Should the entire Labour Party parliamentary party back the amendment, and should they be joined by a number of Conservative party rebels, the amendment should pass. However, we know there are many MPs in the Labour party uncomfortable with the amendment as it could be seen by voters as being an attempt by the party to block Brexit. Cooper, in conjunction with the Conservative Party's Nick Boles, have tabled the amendment that would instruct the government to go to Brussels and request Article 50 be extended beyond March 29 in the event of no Brexit deal being ratified by the UK parliament by the end of February. 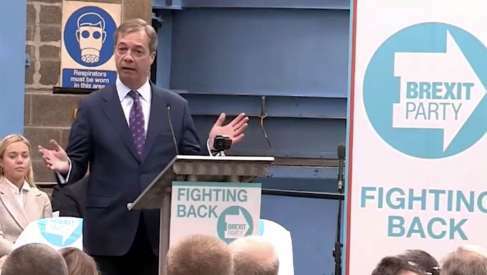 The extension of Brexit could last up to nine months according to Cooper, however, we already know the EU have signalled any extension would likely only be three months in duration, as the EU parliament faces elections mid-year. Jon Trickett, the shadow Cabinet Office minister, tells Heather Stewart Heather Stewart, Political Editor at the Guardian, that voters in his constituency would regard support for the measure on Tuesday as a failure to respect the result of the 2016 referendum. "Over the weekend, I was speaking to some people in my constituency. They weren’t actually people who voted for leave, though the majority of people in my constituency had voted for leave. What they said was: people have struggled for the vote, people have died pursuing the vote. Other people have been sent to Australia or put in prison – and the vote actually is a precious thing," says Trickett. This is the paradox for the Labour Party: Labour backed the UK's decision to leave the EU on March 29, backing any delay would be politically damaging to those Labour MPs from Brexit-voting constituencies where voters view any push for a delay as being anti-democratic. Yet, the Labour Party membership are overwhelmingly against Brexit, creating a powerful tug-of-war for the Labour leadership. We think a scenario where the Cooper amendment is defeated is worth bearing in mind as it could have a notable impact on the value of the Pound, sending it tumbling lower as traders quickly ramp up bets on a 'no deal' Brexit once more. How far could the British Pound fall under such a scenario? It is hard to say owing to the many moving parts in parliament and a constant Brexit newsflow, but we would expect it to fall back into the ranges witnessed in December which would be more consistent with a higher chance of 'no deal' Brexit being priced back into the market's thinking. 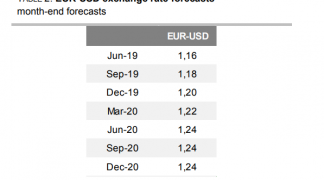 For the Pound-to-Euro exchange rate, we would therefore potentially see a decline into the 1.10-1.1120 region, while for the Pound-to-Dollar exchange rate we would expect declines into the 1.26-1.27 region. 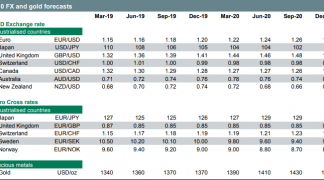 However, for the GBP/USD exchange rate much will also depend on the overall performance of the U.S. Dollar which has struggled in 2019 owing to the improvement in global investor sentiment. This could provide some downside protection to GBP/USD. "If passed, the Pound could strengthen further lifting cable towards the 1.3300-level. In contrast, there would be disappointment if the amendment fails which could result in cable falling back towards the 200-day moving average at 1.3050," says Lee Hardman, currency analyst with MUFG in London.